This Backup Camera system comes with a Rear View Mirror Monitor that replaces the OEM rear view mirror with an ultra-bright viewing screen and reflective surface that combine to provide an all-in-one backup ability. The monitor displays adjustable distance grid lines that assist in determining the position of your vehicle in relation to vehicles or objects behind you. The monitor also includes a built-in speaker so you can not only see but hear what is behind your vehicle. The color CCD camera is built with durable 18 ga. zinc plated Steel to protect the 2.5 mm Sharp lens. It has a viewing angle of 130° and 620 lines of resolution to give you a high quality image with no blind spots. The 18 infra red illuminators allow you to see up to a distance of 50 feet even on the darkest nights without the typical Night Vision glare. This Camera has been rated IP69K for it's ability to protect components from power washing, car washes or any other high pressure, high temperature spray downs. This quality camera includes a built-in microphone, an adjustable sun shade and a Auto Iris Sensor to protect images based on external light. The system comes complete with all mounts and cabling needed for installation. 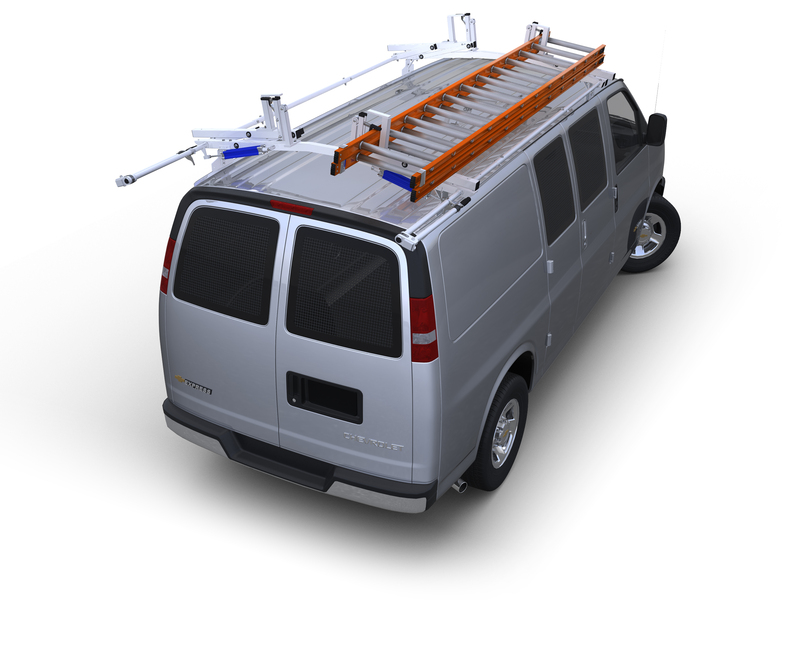 Models specified below for Dodge ProMaster and Mercedes Benz Sprinter. Ford Transit, Nissan NV and Chevy/GMC Full Size Vans do not require vehicle specific mirror mounts and use the “Universal“ system. For other vehicles call for availability. Our OEM Style Mirror Monitor provides ultimate performance together with a clean, factory like install. and its bright screen and reflective ability contribute to an all-in-one backup experience. It comes with a 4.3" Color TFT Digital Displayand its distance grid lines are optional and adjustable. Screen SizeD: 4.3" x H: 2.25" x L: 3.75"
This is the "In The Box" for the standard RVS-770718. Customize your system with the item options.